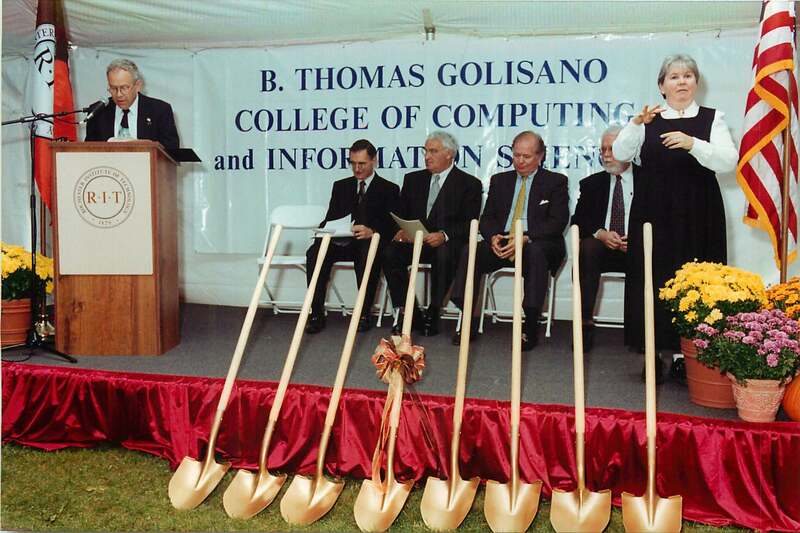 In February 2001, Tom Golisano made a $14 million gift to Rochester Institute of Technology, enabling that university to launch development of a new college that incorporates computing and the Internet with information sciences. The B. Thomas Golisano College of Computing and Information Sciences, named for its founding donor, officially opened in May 2003. It offers students opportunities to earn Bachelor's and Master's degrees. Mr. Golisano honorary chaired RIT's capital campaign, "Powered by the Future." He is also a trustee of RIT. In September 2007, Mr. Golisano donated $10 million to Rochester Institute of Technology (RIT) to create the Golisano Institute for Sustainability. The Institute, one of the first of its kind in the nation, focuses on research and education in sustainable design, pollution prevention, remanufacturing and alternative energy development. In October 2008, Mr. Golisano committed $10 million to Niagara University to support construction of a new science building, the B. Thomas Golisano Center for Integrated Sciences, to radically alter the teaching and research environment at the university. It is the largest gift the institution has received in its 152-year history. This marks the first major gift Mr. Golisano has made in Western New York outside of the Rochester region. 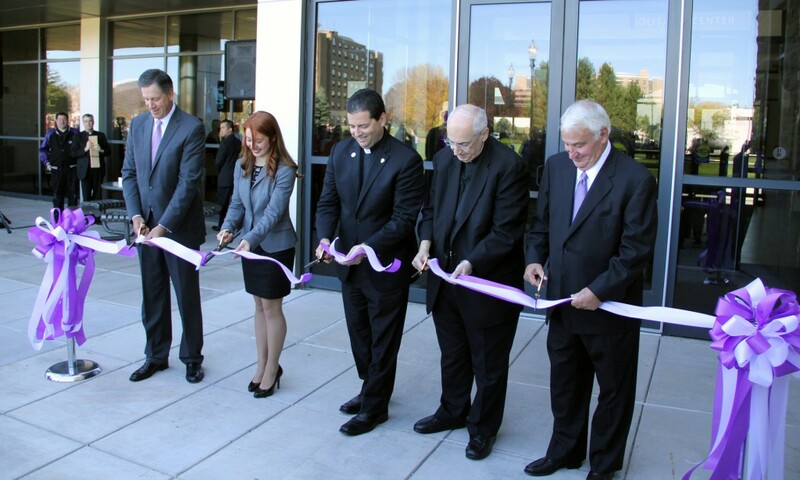 On October 9, 2013 Niagara University formally dedicated the state-of-the-art, $33 million B. Thomas Golisano Center for Integrated Sciences facility, which opened to Niagara University faculty and students at the beginning of the fall 2013 semester and changes the scientific research and teaching that happens on the campus. In July of 2004, he made a $5 million gift to Hartwick College of Oneonta, NY, which will be used to build a new academic building for the social science and management programs. October 2003, Mr. Golisano donated $5 million to Nazareth College, a private college in Rochester, NY. The gift was the largest gift to the college by living donor and was used to help create the B. Thomas Golisano Academic Complex..
On September 21, 2016 Tom Golisano committed $7.5 million to Nazareth College for the new Golisano Athletic Training Center that will create a model of inclusion, fitness & wellness. 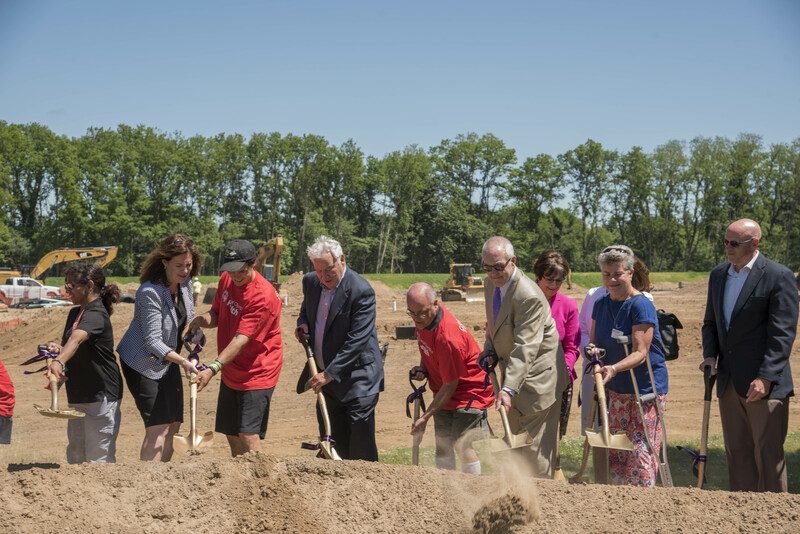 The 91,000-square-foot center will bring together the strengths of Nazareth College, Special Olympics, and the Golisano Foundation to create a new model of inclusion, fitness, and wellness for athletes with intellectual disabilities. It will open in Fall 2019. Groundbreaking for the Golisano Training Center took place June 14, 2018. The Center will provide an indoor track, field, courts, and training facilities. The ceremony included Tom Golisano; Golisano Foundation trustees and Director Ann Costello; Stacey Hengsterman, President & CEO of Special Olympics New York (SONY); local Special Olympians; and International Special Olympics Chairman Dr. Timothy Shriver. 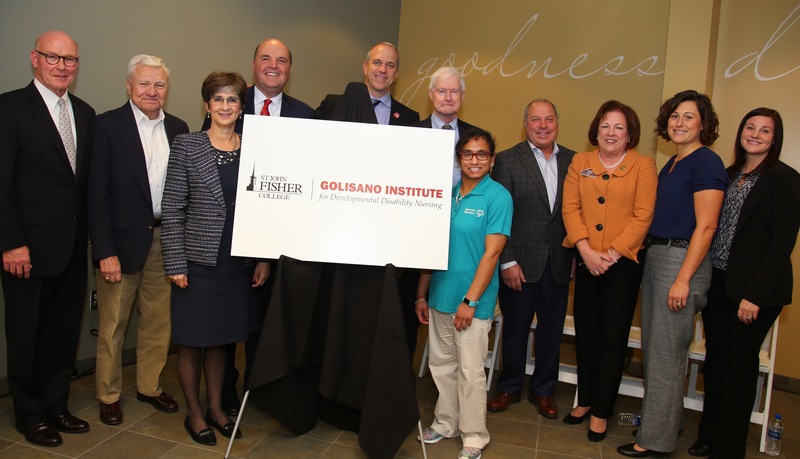 On October 30, 2018, St. John Fisher College, Tom Golisano and the Golisano Foundation announced the creation of the Golisano Institute for Developmental Disability Nursing thanks to a $5.8 million gift, $5 million from Tom Golisano and $800,000 from the Golisano Foundation. The Institute will be fully integrated into Fisher’s Wegmans School of Nursing and is designed to transform the health care and support of individuals with developmental disabilities. It will be the first institute of its kind in the country, and will have local, national, and international impact. In October 2001, Mr. Golisano made a $5 million contribution to Roberts Wesleyan College, the largest gift in the history of the small liberal arts college, located in Rochester, NY. The college used the funds to construct the B. Thomas Golisano Library and Information Resource Center. Mr. Golisano made his first gift to an organization outside New York State in November 2009. His gift of $4 million to Ave Maria University in Ave Maria, Florida, funded the construction of the University's first indoor athletic facility, the Tom Golisano Field House. In March 2006, he made an unprecedented $6 million gift to Our Lady of Mercy High School and Bishop Kearney High School. The gift represented the largest donation ever received from an individual or family by either private school located in Rochester.